Pain In Your Mouth? What Might Be Causing It? It might be surprising for some people but even in the modern day, many are not aware of why oral hygiene is important. You might be thinking that people who brush their teeth regularly do not fall into this category. Brushing teeth in the morning is a healthy habit and should be taught and practiced by everyone for good dental condition. However, this is not a sign that you know how to maintain your oral hygiene or will prevent any problems. According to the statistics, most of the people who are prone to gum pain and toothache do brush their teeth every morning. Upon a medical check by a dentist, these people still tend to have oral problems, especially the ones related to gums. Do you brush your teeth and still have pain in the gums? 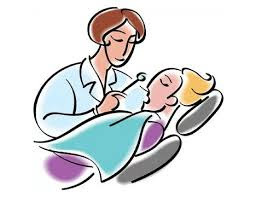 Do not worry, it does not mean that your dental condition is extremely poor. In fact, pain in the gums is fairly common and sometimes can be caused due to reasons other than hygiene. Sore or painful gums are taken lightly by the majority. You might even hear a person blaming it on their fast brushing or the hard bristles of their toothbrush. That does happen, but not every other day and continuously. Healthy gums have a light pink hue and do not bleed easily. Brushing too hard with a poor quality toothbrush causes bleeding or pain only after a prolonged usage or if you suddenly change your toothbrush. Not all the problems related to gums will make a trip to the dentist necessary such as the hard brush problems. If you have braces and dentures, they can also irritate the skin and occasionally cause bleeding and swelling. While the pain in the gums should not be ignored if it is perpetual or severe, make sure if it’s not related to any of your habits or anything else that might be causing the pain. Gum pain can happen due to a variety of conditions ranging from easily treatable to dangerous if neglected for a long time. Most of the time, problems related to gums are complicated which results in anyone not being able to figure out what is the exact problem. By far, the most common cause of pain in the gums that confuses people is a yeast infection. Where fungal infections generally are harder to get rid of especially if diagnosed in a later stage, yeast infection in the mouth is comparatively easily treatable. The biggest signs of a yeast infection or what is known as thrush in medical language is hurtful gums along with a pale white coating on the tongue and teeth. Many people feel that the covering is due to them not brushing hard enough. Brushing hardly in this scenario is the worst thing you can do. Usually, the problem can be treated by consuming yogurt with live cultures and maintaining oral hygiene.However, if your condition has gone past the stage you should probably see a doctor. Gum pain and white covering is sometimes accompanied by something even more painful. If you having white mouth ulcers with red borders in your mouth along with symptoms like thrush, you are suffering from canker sores. Cankers sores tend to be confused with blisters in the mouth till the time they turn painful. At the beginning of getting sores, you might feel mild or no pain at all but you can tell if you are having them due to their distinctive red borders. Small canker sores in the mouth might appear after consuming foods loaded with spices or salt. Acidic food can also lead to sores in the mouth. Sores such as these clear up in 1-4 weeks time and might not be that painful. However, sores larger in size especially the ones bigger than half an inch can be extremely hurtful. See the dentist immediately if you have such sores in the mouth. Secondly, you can lessen the pain of sores by avoiding spicy, salty and acidic food which will lead to more sores forming in your mouth along with gum pain. The serious problems with the gums that can cause continuous gum swelling and pain are gum diseases. Your gums also grow more sensitive and bleed easily while brushing and consuming food or even drinking really cold or hot drinks. According to American Dental Association, more than three-quarters of the people over the age of 35 alone in the United States suffer from gum diseases from less to severe stages. Gingivitis is one of such diseases. If your teeth and gums bleed easily without any reason, there is a big possibility that you are suffering from gingivitis. Because this specific condition only causes bleeding and no pain, many people tend to ignore it until it reaches a severe stage. Prolonged negligence of the disease can cause serious problems in the gum tissue. Treatment in those stages can be painful, taking a long time, and expensive. Many times you might even need surgeries for getting the old appearance of your gums and teeth. While many people have minor dental problems, 5-15% of the adults can suffer from a more serious problem known as periodontitis which can be a result of neglected gingivitis. When gingivitis is left untreated, the inflammation from bacteria that caused it in the first place can worsen leading to periodontitis, a condition in which the bone holding the teeth in place is considerably weakened. The bacteria at this stage, start releasing harmful substances that damage the gums and lead to infections. The inflammation and further bacteria attacks can result in degradation of the gums and the bone in the jaw even more. You can have exceptionally painful and sensitive teeth at this point which can start bleeding anytime. If left further untreated, the condition can cause damage to the jaw bone as well as lead to permanent tooth loss. Smoking and tobacco usage are not only bad for your respiratory system but can greatly damage your gums and teeth. People who do either of the two are more prone to getting gum diseases or develop gum sensitivities. Pain in the gums is one of the problems faced by women during puberty, pregnancy, menstruation, and menopause. The rise in hormones during these situations can lead to excess blood flow into the gums, leaving them swollen, red, and painful. Some women can have a condition called menstrual gingivitis which causes red, sore gums that bleed every time before the menstrual period. Pregnancy gingivitis starts in the third or the fourth month of pregnancy and continues throughout the eighth month causing painful gums. According to some researchers, oral birth control can sometimes result in similar issues. Secondly, some women may even have dry and sensitive gums during their menopause which leaves them sore and painful. Chemotherapy has a lot of unwelcomed side effects including pain in the gums and bleeding along with swelling. People undergoing this treatment develop a condition called stomatitis which causes painful sores and ulcers in the mouth. Many people do not know that problems in the mouth can also be linked to problems of the heart. If you have random and sudden gum swelling with a severe toothache, it can also be a sign of a potential heart attack. Should you see the Dentist? 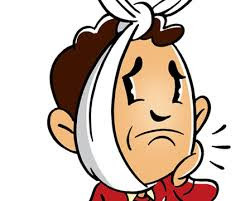 If your pain and swelling last for longer than a week, make sure to visit a dentist as soon as you can. Gingivitis has become common. Swollen, red, and painful gums are mostly the signs of this disease. So, it is better to get rid of it at its early stages. Menstruation brings with it a host of problems – period pains, nausea, heavy bleeding and what not. Seldom do we think that the problems can go beyond these regular ones. With time we get used to dealing with the same and living with the debilitating pain. But women, listen up, menstruation is not all about cramps and bleeding, the hormonal upheavals that happen during this period can set you up for dental problems too, precisely gingivitis (gum disease) or menstrual gingivitis. Hormonal changes and oral health are just two sides of the same coin. Menstruation gingivitis is a common oral problem that women go through but hardly know about it. This happens due to hormonal fluctuations during the course of menstruation or days before you get your period. Gingival tissues or gum tissues have lots of estrogenic receptors, it’s response to the hormonal changes is rapid. During the start of your periods estrogen is at its rock-bottom, but then it starts to increase and its levels go up. As this happens, the hormones can act with the estrogen receptors in the gums and erode them. However, not everyone suffers from this oral condition, but for people with poor dental hygiene should be wary. The bacteria which is already present in the mouth multiplies rapidly due to hormonal surges and paves the way for gum diseases, if ignored it can further lead to periodontitis (tooth mobility). During menstruation, there is a surge in the production of the two hormones estrogen and progesterone that increases the blood flow to the gums. In this process, the gum tissues become red, soft, swollen and tender leading to conditions like bad breath, bleeding gums, bleeding while brushing, gingival pain and discomfort while chewing hard foods. If you don’t take care of your gums the right way they become weak and this leads to gum diseases. The weak gums can also cause pockets to form between the teeth and gums, due to which plaque and food debris get deposited and the situation further worsens. This condition is experienced one or two days before the onset of the menstrual cycle and gradually decreases with the start of menstruation. If you don’t care enough for your gums during your cycles, it can lead to gingivitis and later to periodontitis where you can lose your teeth at a younger age. Brushing daily: Regularly brushing your teeth using a soft nylon-bristle toothbrush, at least twice daily in a circular motion or a straight downward motion is the best way to clean your teeth. With that, a back-and-forth scrub may be needed to focus on the gum line. Tongue cleaning: This is a mandatory step which helps to collect and clean the bacteria that sticks to our tongue. Floss your teeth: Make sure to floss every time, after you done with brushing your teeth. This helps to reduce plaque built-up between your teeth. Use a mouthwash: Rinsing with mouthwash, it helps in curing gum inflammation as anti-bacterial mouthwashes contain the ingredient chlorhexidine which helps to kill dental bacteria’s and cavities. Use an interdental brush: Further techniques like Oral prophylaxis (ultrasonic scaling) or use of interdental brush, a plaque removal device or an irrigation device can help. However, first do consult a dentist before investing in one. Professional scaling is also extremely vital because once the plaque has hardened and built-up or become tartar, only a dentist or dental hygienist can eradicate it. Advanced technologies like gingivectomy, flap surgery, root planning is of greater help in the chronic conditions. Are women prone to gum diseases only during menstruation? Pregnancy, menopause, and intake of birth control pills other than menstruation are the few causes of hormonal fluctuation leading to gingivitis. It can also occur due to certain long-term consumption of medicines like anti-epileptic drugs and certain anti-hypertensive drugs. Later it may result into periodontitis. This can also turn out as one of the biggest threats to our heart and can lead to severe heart diseases.